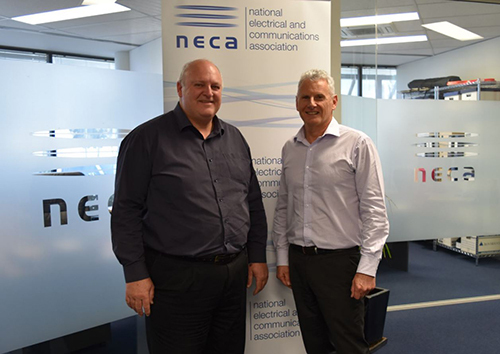 We are delighted to announce that Tony Mancini has officially commenced employment at NECA WA as General Manager Member Relations. Tony has an exceptional level of experience in and passion for the WA electrical industry, being a keen advocate for electrical contractors for more than 35 years and he looks forward to using this experience to help NECA members improve their businesses. Tony’s appointment to the team could not have happened at a better time as NECA continues to break new records, including welcoming our 1000th member earlier this year and the ongoing introduction of new and improved services for members. Welcome to the team Tony!